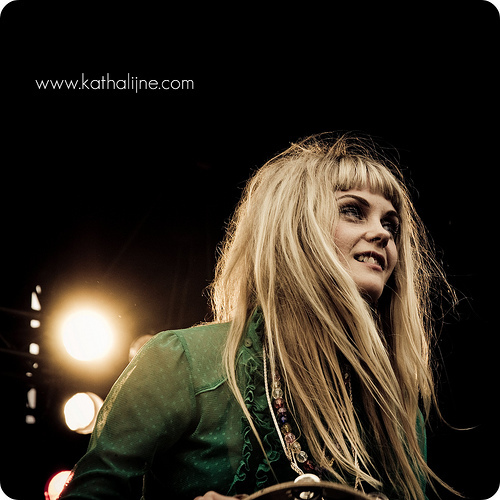 This is the gorgeous Mette Lindberg, singer for Danish band The Asteroids Galaxy Tour. Their first single “The Sun Ain’t Shining No More” was released some time in 2008. Most of you may know them from Apple’s I-pod Touch commercial for which their song “Around the Bend” was used. Go check them out. They are great live! This entry was posted in music, no worry and tagged blonde, denmark, fabulous, gorgeous, live, mette, music, pop, pop music, singer, the asteroids galaxy tour. Bookmark the permalink.